News reaches us of the death of Ricardo Montalban this morning, at his home in Los Angeles. 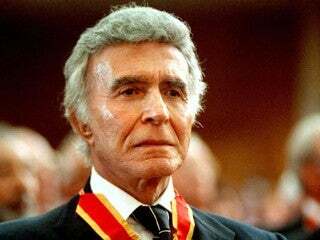 Best known to most people, perhaps, as Mr. Roarke on Fantasy Island, Montalban will always be Star Trek's Khan Noonien Singh to science fiction fans despite an amazing 64 year career that included appearances in The Naked Gun, Dynasty, and Dora The Explorer (You couldn't fault him for his variety). No cause has been given for his death. He was 88 years old.